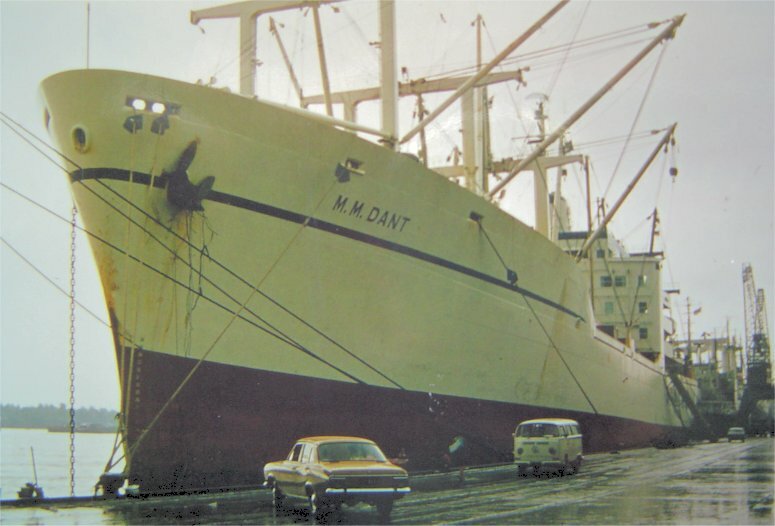 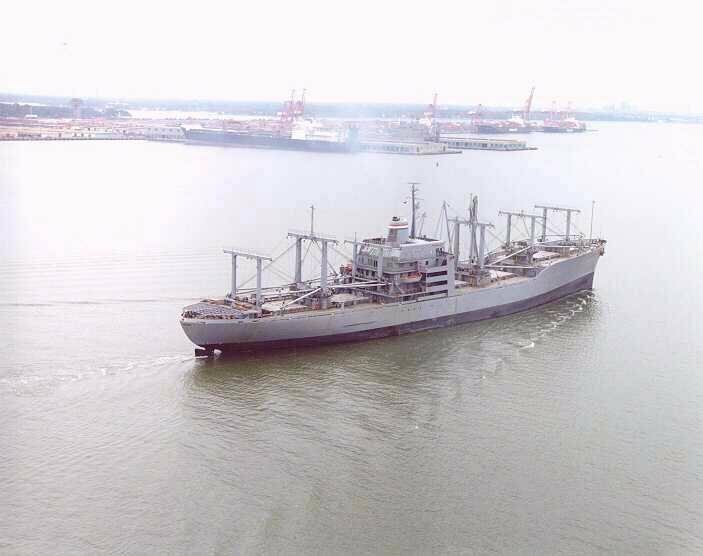 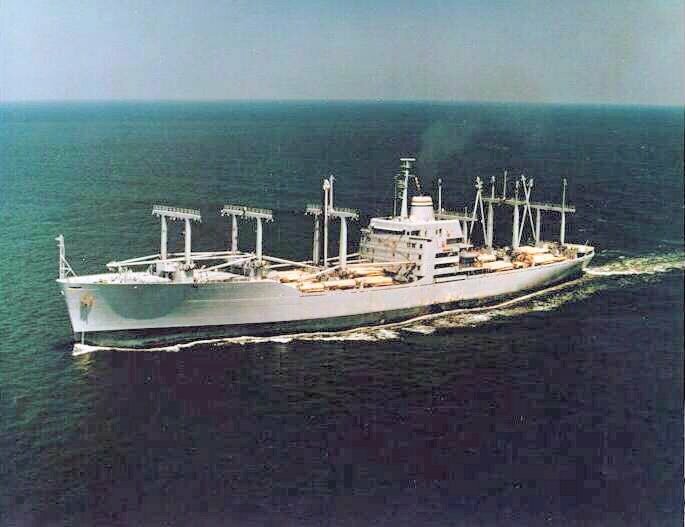 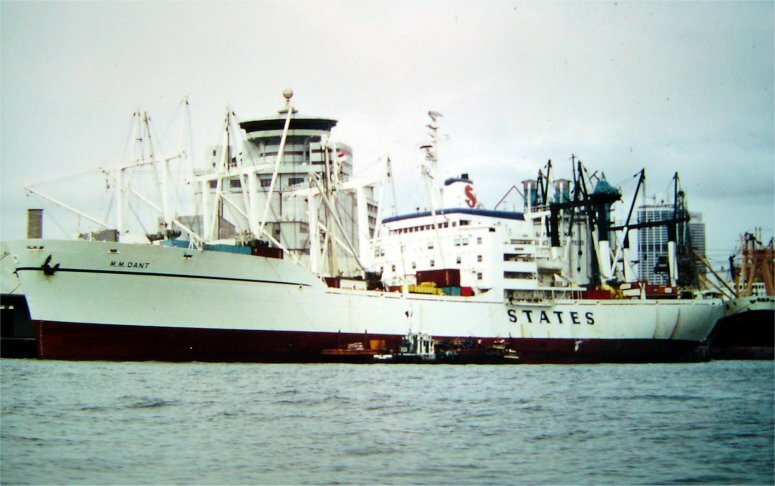 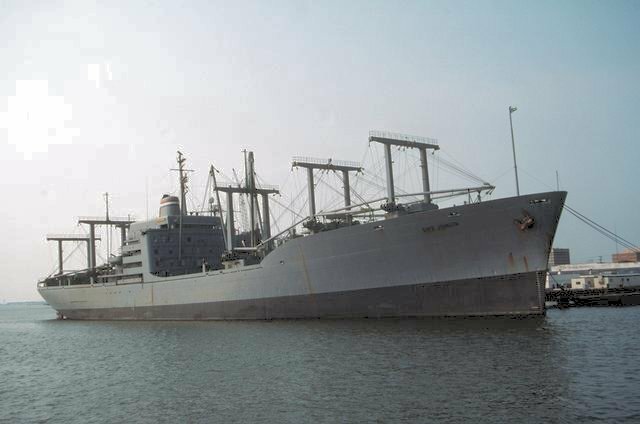 Laid down (date unknown) as SS M. M. Dant a Maritime Administration type (C4-S-1u) hull under Maritime Administration contract (MA 128) at National Steel and Shipbuilding Co., San Diego, CA. 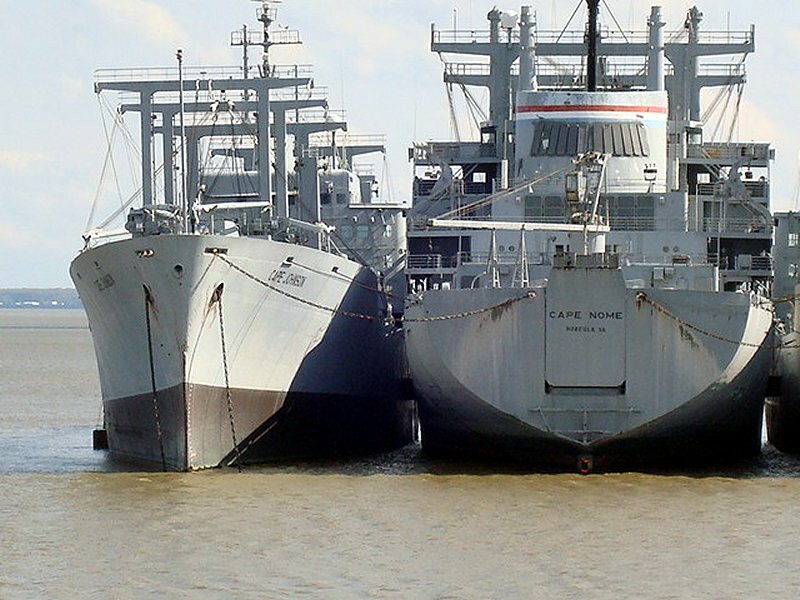 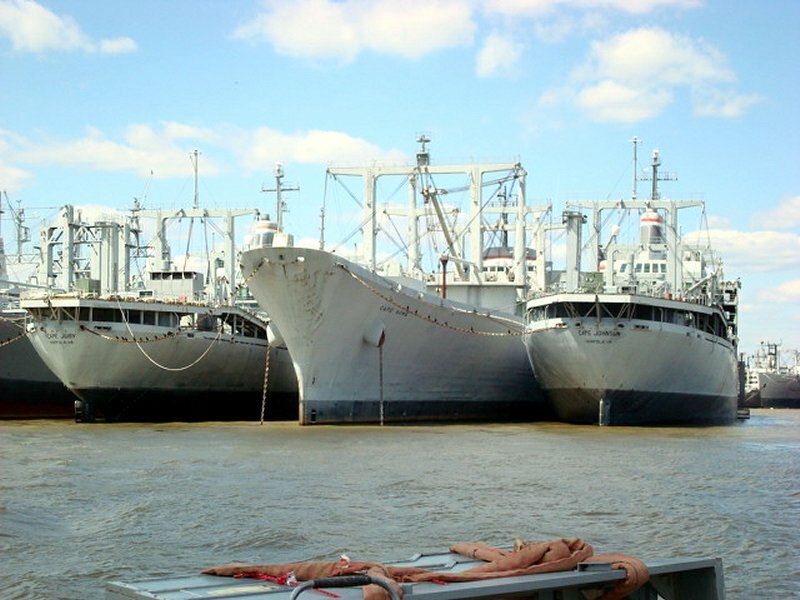 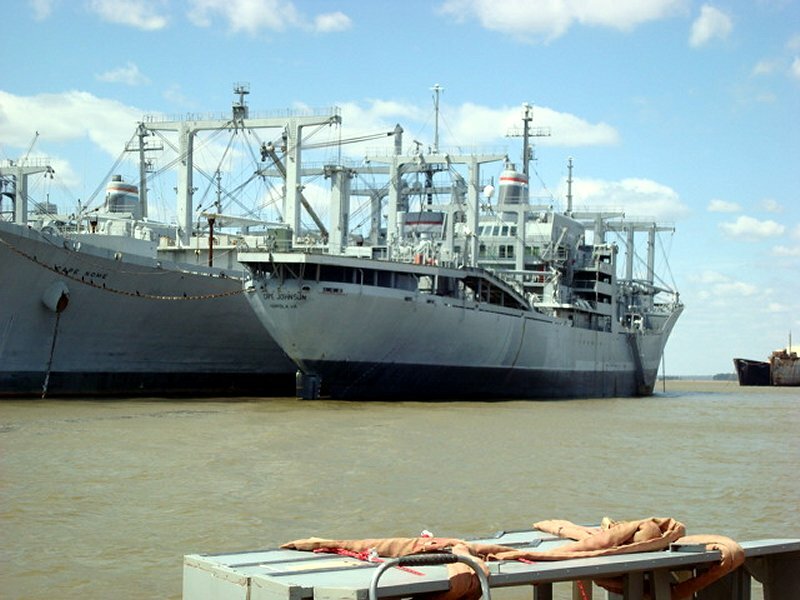 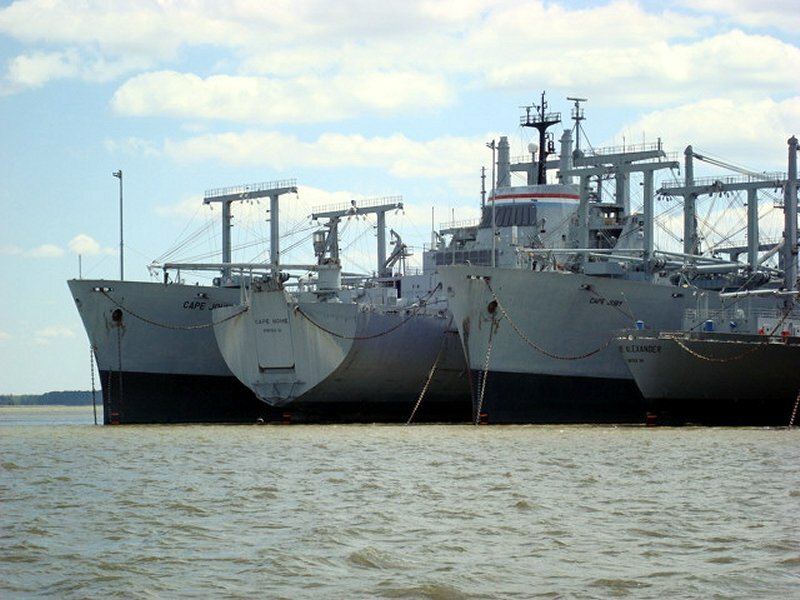 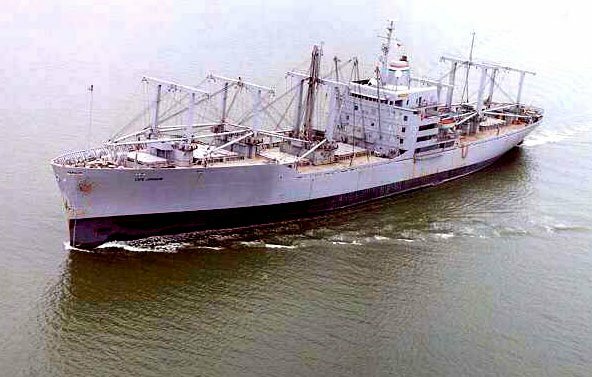 Withdrawn from the MARAD RRF, 1 October 2008, laid up in the National Defense Reserve Fleet, James River Group, Lee Hall, VA.
57k SSCape Johnson (AK-5075) underway, date and location unknown. 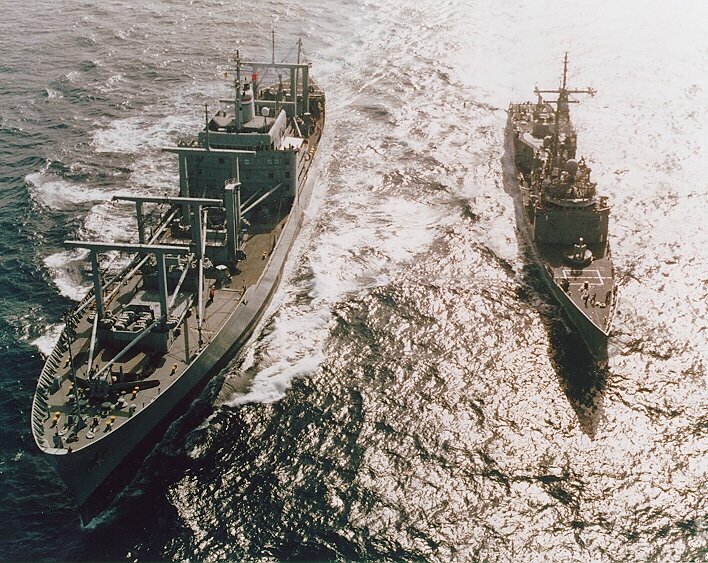 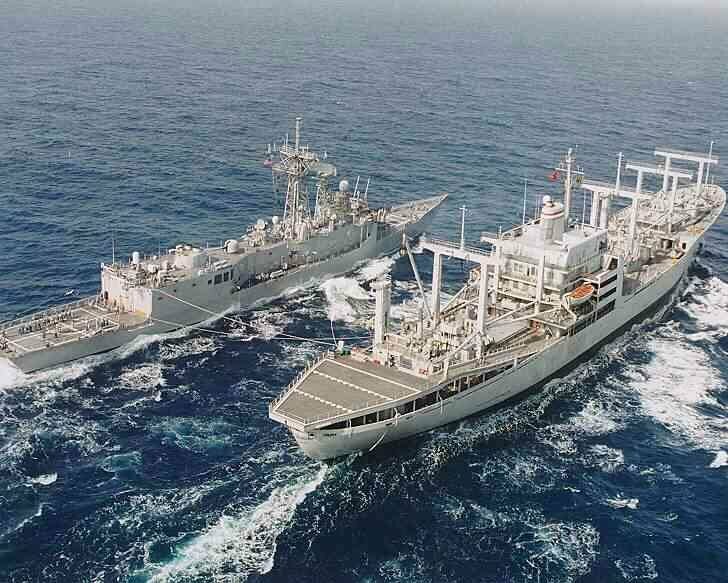 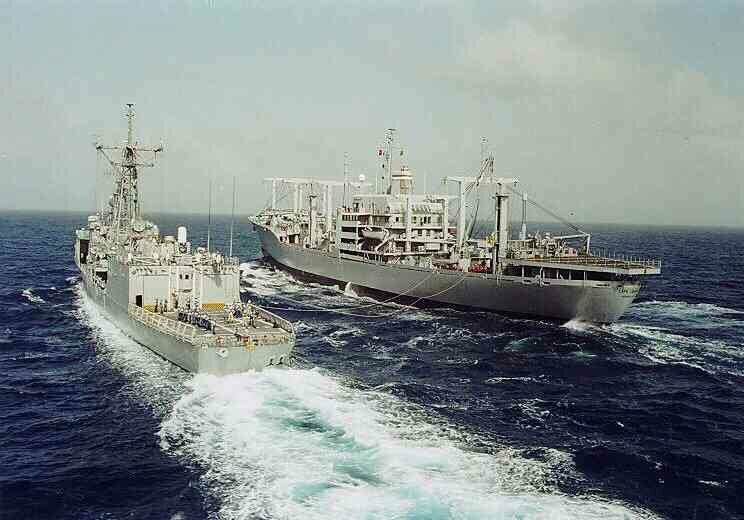 108k SS Cape Johnson (AK-5075) conducting an underway replenishment with an unidentified Oliver Hazard Perry Class Frigate, date and location unknown.